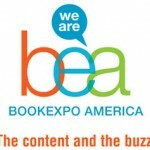 The opening keynote of BookExpo America suggests the top concerns facing the US book market in 2013 remain much the same: ebooks, self-publishing, and how to win readers. 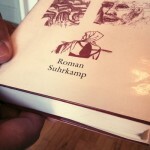 In the deepening turmoil surrounding German publisher house Suhrkamp Verlag, the house has filed for bankruptcy and will use a new law to attempt to stay in business. Scholastic's Julie Amitie and Gavin Brown offer nine steps to successful multi-platform storytelling and promotion, using The 39 Clues and Infinity Ring series as examples. Berlin’s publishing startup scene is booming and two companies making their mark are Readmill and dotdotdot, developers focused on connecting readers through books.